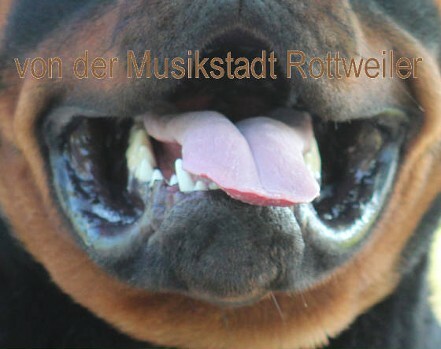 A Rottweiler's mouth and lips should be a dark black pigment. 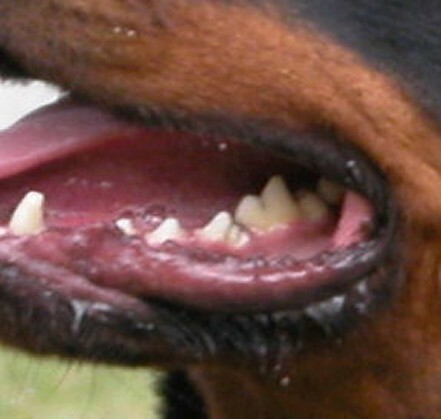 The hardest goal for breeders to achieve is a lip, and mouth pigment. 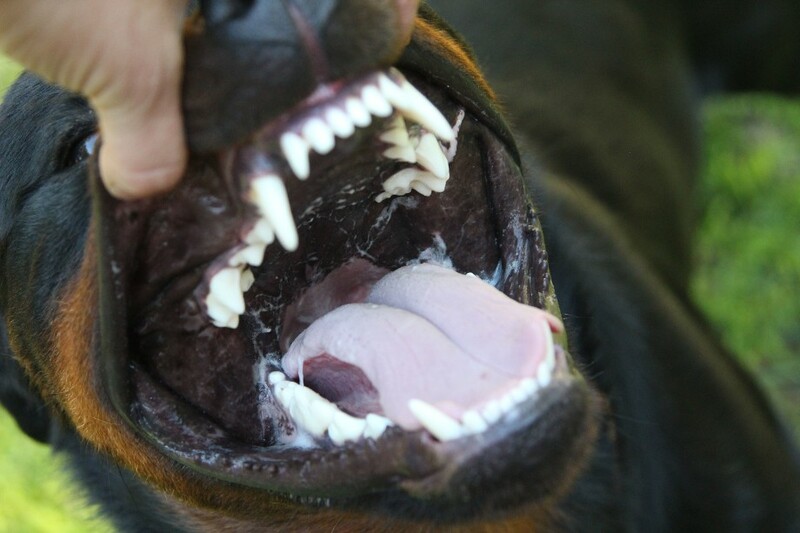 Rottweilers can have a dark pigment and turn pink later. This is very common. 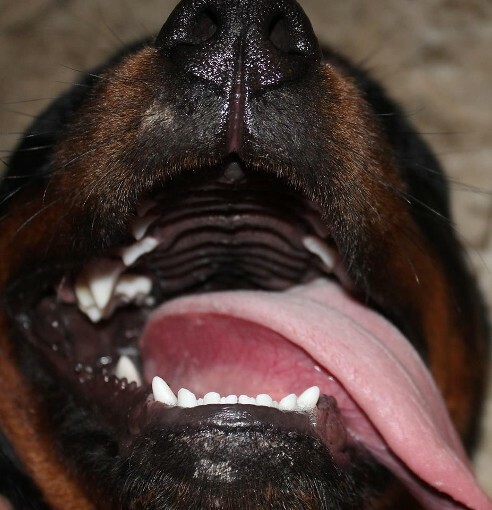 The pedigree is the number one factor to mouth pigment, but stress can have a huge impact on why a Rottweilers mouth turns pink. 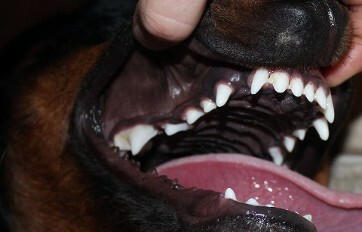 Hormones also have a factor in mouth pigment changing. 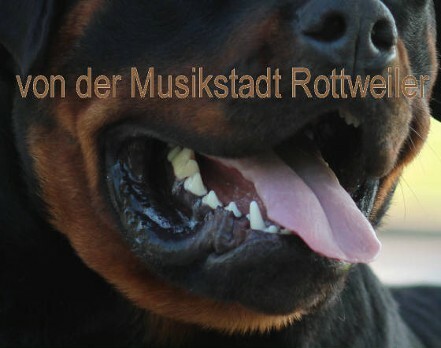 Pictures copyright and taken by von der musikstadt rottweilers. 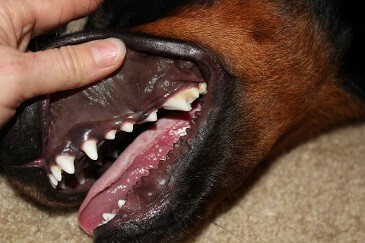 Lack of pigment is from melanin being destroyed in the mouth. Stress can cause the destruction of melanin. 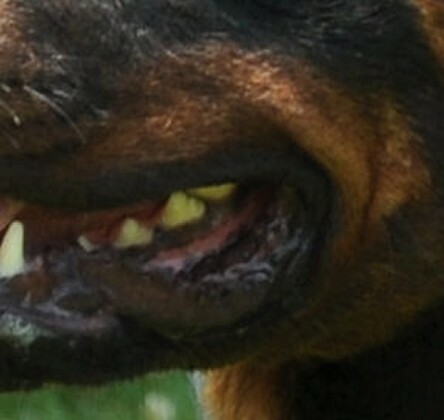 Once the melanin cells are 100% destroyed it cannot be recovered.